For Lent and part of Eastertide (all of Eastertide? ), I shall be alternating Anglicans and mystics for the saints of the weeks. Last week we had our Anglican in Dorothy L. Sayers, and this week we get a mystic. St. Bonaventure (1221-1274) is one of the bright lights of the thirteenth-century. He was born five years before the death of St. Francis of Assisi (saint of the week here) and lived to carry on the great Franciscan tradition of mysticism and preaching as a biographer of St. Francis and as minister general of the Order of Friars Minor. Ewert Cousins writes that “he flourished during that brief period when spirituality and speculation were not yet separated.” (2) This is to say, before dogmatic and mystical theology became separate discourses in the West, a separation never fully achieved in the East, as seen in the brilliance of St. Gregory Palamas (on whose conception of God, see here). Hopefully, by making acquaintance with saints like Bonaventure we can reunite these two aspects of the Christian reality in the West. Bonaventure was baptised as John (he took the name Bonaventure when he took holy orders) and grew up in Bagnoregio, a small central-Italian town. In Bagnoregio, he is reputed to have received primary education from the Franciscans who had established a friary* there. As well, Bonaventure suffered from a serious illness when a boy from which his mother’s vows to the newly-canonised St. Francis snatched him. His contacts with the Franciscans are early, then. He studied at the University of Paris in 1234 where he met the active Franciscan intellectual tradition founded by Alexander of Hales at that university. In 1243 Bonaventure became Bonaventure — ie. joined the Franciscan Order — and continued studying theology under Franciscan theologians there, whose combination of learning and intellect with the simplicity of St. Francis was very attractive to Bonaventure. 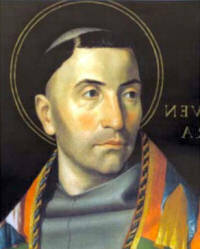 1248 saw Bonaventure licensed to lecture on the Scriptures, and in 1253-4 he became a master in theology. He took over the Parisian Franciscan school. In 1257 he was elected minister general of the Order of Friars Minor (aka “Franciscan Order” — except that they have subsequently splintered like all Christian groups). 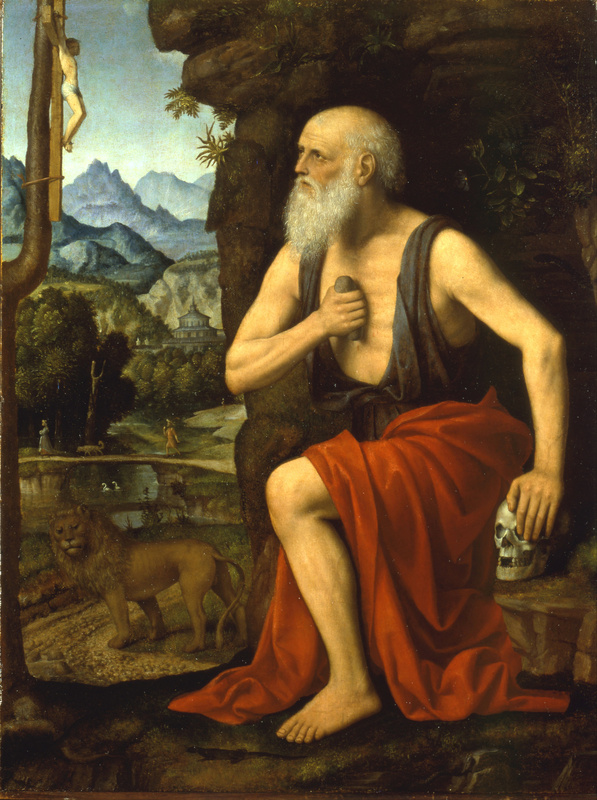 He came to head the Order in large part because he was an antidote to the apocalyptic teachings of Joachim of Fiore (these teachings were so notable that they were denounced at Church Councils later on). He tried to regulate the Order through moderation. 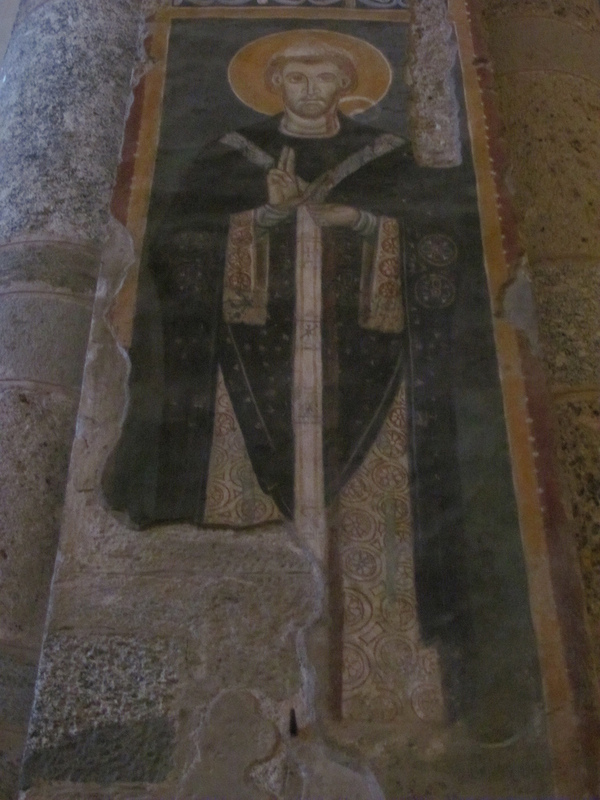 In 1274, as a Cardinal present at the Council of Lyons, he passed from this life. St. Bonaventure spent his entire career, even amidst the busy-ness of life as minister general, writing. He wrote his lectures at Paris, he wrote scholastic treatises, he wrote of things spiritual. All of these are a part of the whole of who Bonaventure was and what Bonaventure did. We must not divide the scholastic from the mystic, as so many often do. Indeed, the experience of the mystic is what grounds the scholastic — and vice versa. Nonetheless, I’m around 550 words into this post, so we’ll focus on Bonaventure the mystic. Bonaventure’s spiritual masterpiece is The Soul’s** Journey Into God, written around 1259. It’s inspiration was St. Francis’ vision of the sing-winged seraph when the Saint received the stigmata. St. Francis’ vision was itself a symbol of the ecstasy of St. Francis’ contemplative life. There are, then, six stages of the soul’s journey, with a seventh chapter of this work focussing on the goal of this journey. The starting-point of this journey of the soul is Christ crucified, for good Christian mysticism is always focussed on Christ (without Christ we’d all just be Ians, which isn’t so bad, I s’pose…). The starting-point of this journey is not the world of the detached intellectual. No, this is the world of the burning love of the incarnate God who chose death so that we might live. The world of fierce glory that chooses painful suffering to bring others into that glory. Our souls have a place, as does our rational aspect, but mere cognition will not do. Not here. We enter through the door of the crucified God and find Him through the contemplation of His creation (cf. my thoughts on the “Canticle of Brother Sun”). From contemplation of the created, material order, we move further along the journey into the world of sensation, thence to the spiritual aspect of our soul, and from there into God. A lot like St. Teresa (saint of the week here), eh? These exact steps are not necessary for the soul, but they are certainly laid out as a typical path by Bonaventure. This is not unsurprising. God has revealed Himself to us everywhere. The Heavens declare the glory of God, after all. Furthermore, we were made in His image. And most of Christian history thought that meant our nous was the bit that looked like God. How can we not, then, find God within us? The Kingdom of Heaven is, after all. The Kingdom of Heaven is also at hand. Furthermore, Christ is the Logos, the rational, ordering principle that rules and guides the universe. He is to be found in all men in all places. This is not a plea for universalism. Neither Francis nor Bonaventure was a universalist. This is a call to remember that in hesychia, in quiet, in peace, after we have got beyond the lizards (Teresa), after we have ascended Mt. Carmel (John of the Cross), after we have entered the cloud atop Mt. Sinai (Gregory of Nazianzus), after we have united our heart and our soul (Gregory Palamas), the God who was manifest as Christ will be known to us. And we will discover that it was his grace drawing us to Him all along. *A friary is like a monastery, only inhabited by Franciscans or Dominicans; these mendicant (“begging”) orders traditionally use the friaries as bases for their operations in the world, whereas Benedictines and other cloistered orders live within the monastery and do not necessarily enter the world for mission purposes (but they have been known to do so). **Soul = mens = nous = untranslateable into English. That inner part of you that can connect with God.